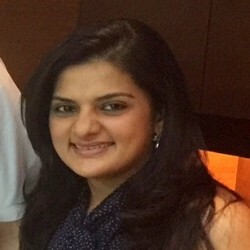 Dr Radhika B. Parekh completed her MDS in Oral and Maxillofacial Prosthodontics and Implantology from Padmashree Dr. D.Y.Patil Dental College and Hospital, Navi Mumbai and has since gained extensive clinical experience in complex full mouth rehabilitation, implant supported reconstruction and aesthetic smile designing. She has a variety of articles published in national and international peer reviewed journals. She lectures extensively with Dr Turners’ Dental Academy on Implant dentistry, Smile Designing and Full mouth rehabilitation.